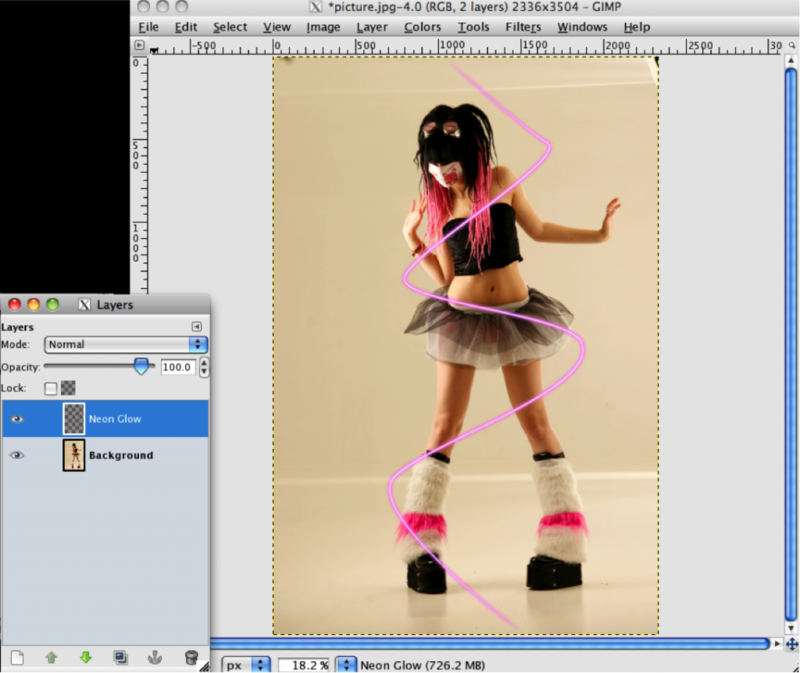 In this tutorial, I will show you how to create a Magic Beam Effect in Gimpshop. 1.) First let’s open an image. Click File > Open> Then locate image. You can download the image I used through here. 2.) 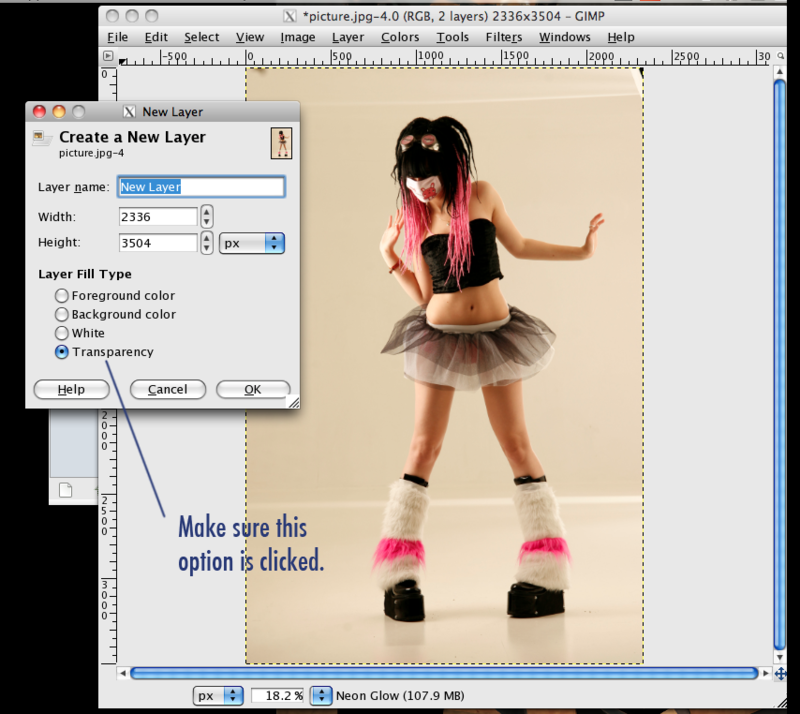 At the bottom left of the Layers Dialog Box, click the New Layer icon. Make sure it’s set to transparent. 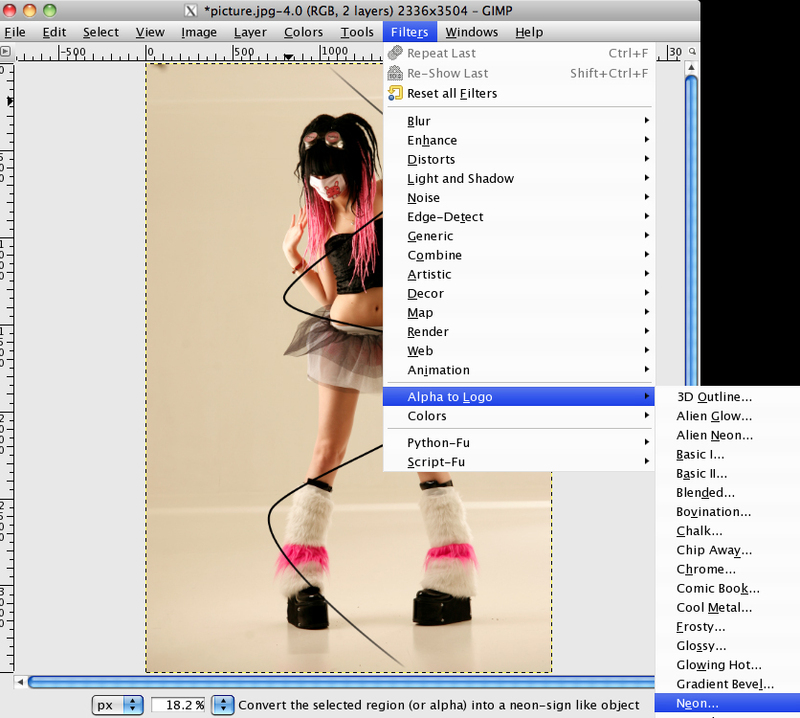 If you cannot locate the Layers Dialog Box, go to Windows>Dockable Dialogs>Layers. 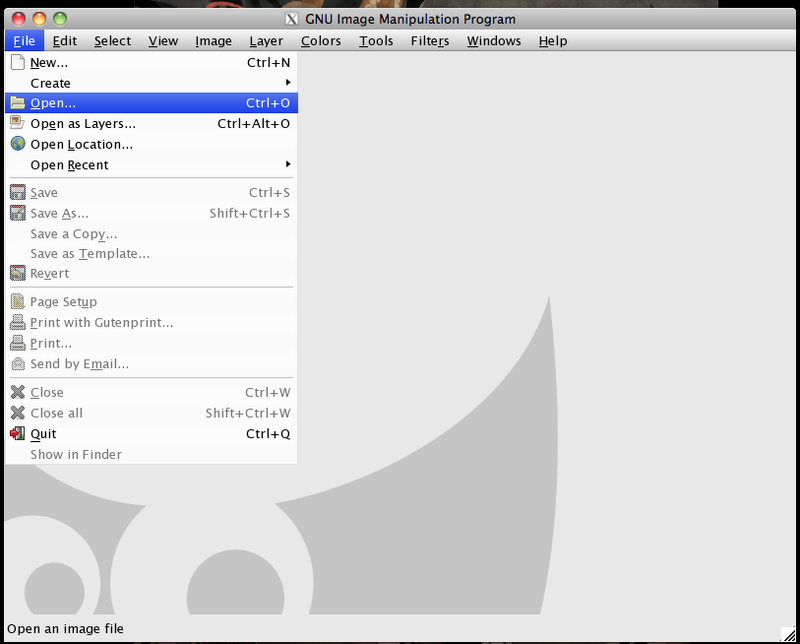 You can also use the Ctrl+ L command. 3.) 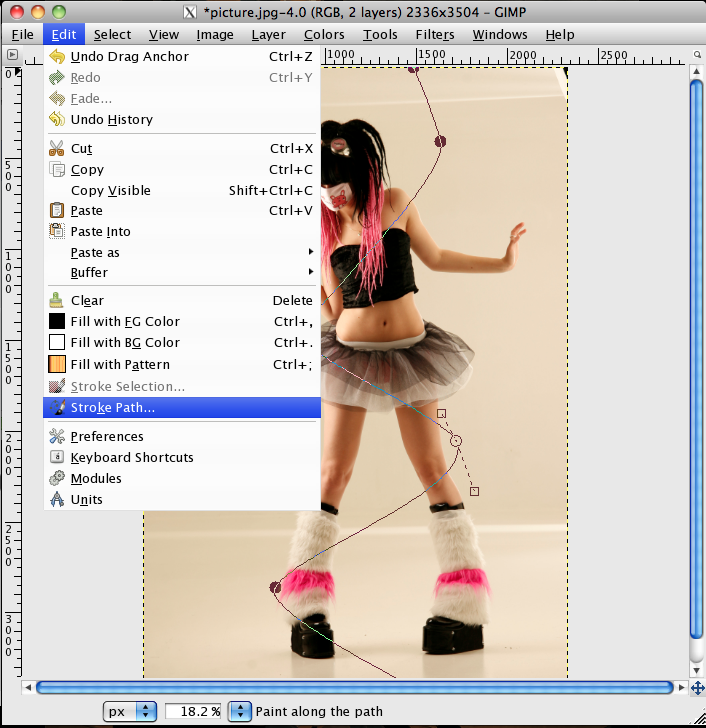 Click the Path icon located in the Toolbox or press B. If you can’t find the Toolbox, Click Windows>Toolbox or Ctrl+B. 4.) Click on the point where you want your beam to start. To extend, click on another area of the image. 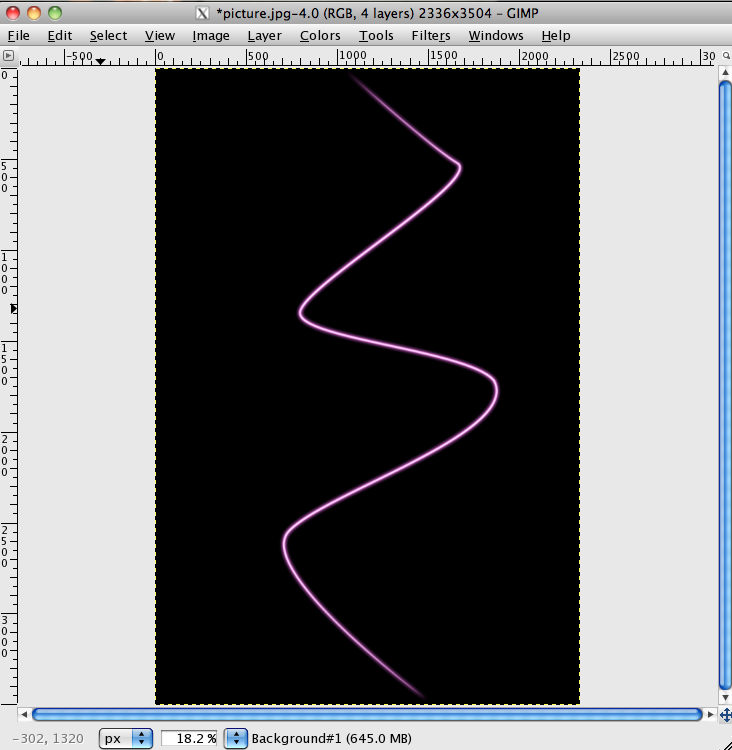 Click and drag if you want to adjust the path’s curve. 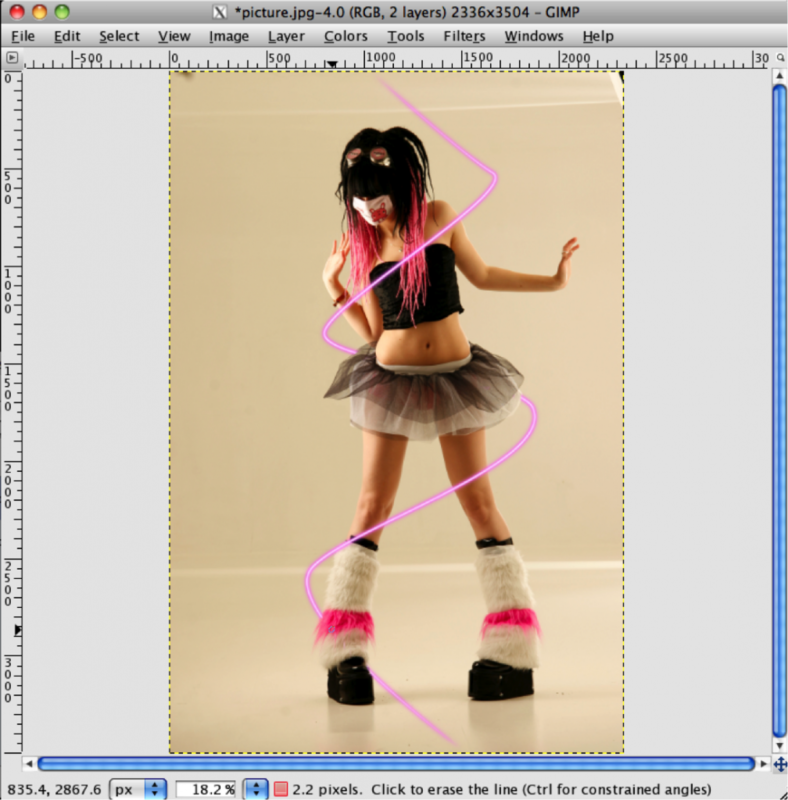 After creating the path, you can go back and adjust the curves if you’re not contented. Click on one of the anchor points. You’ll notice two empty boxes connected to the anchor point. 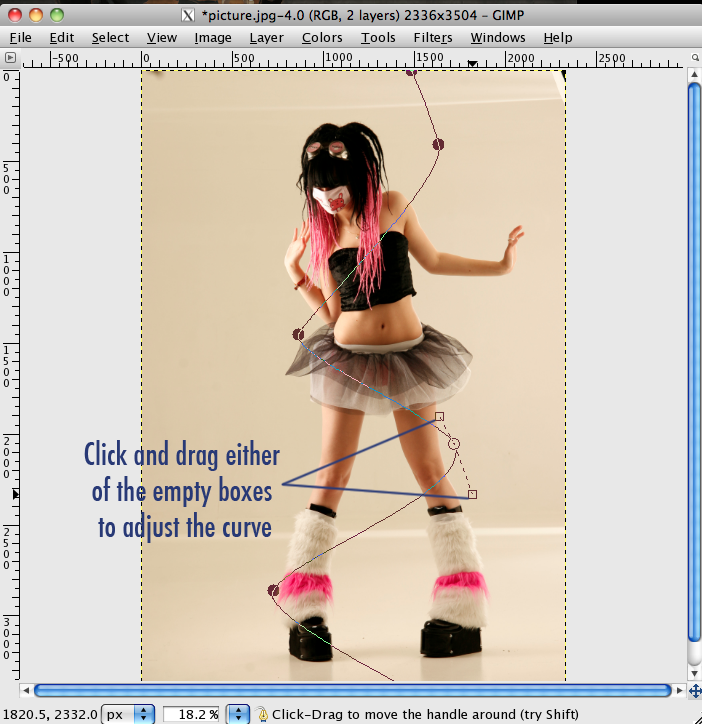 Click and drag either one of the boxes to adjust the curve. 5.) When you’re satisfied with your path, click Edit>Stroke Path. Click Stroke with a paint tool> Emulate brush dynamics> Ok. These settings create variation in the line weight. 6.) 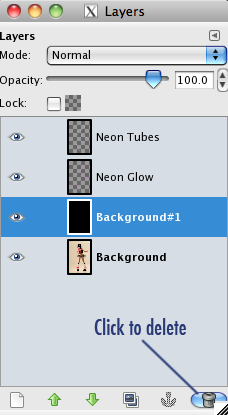 Click Filters> Alpha to Logo> Neon. A pop-up box will appear. You can edit the effect size to make your beam thicker. I set mine to 30 pixels. 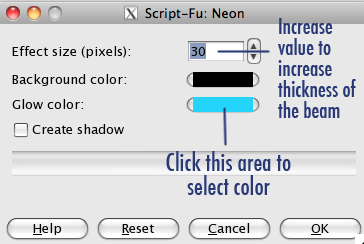 You can also edit the glow color by clicking the area indicated below. Pick a color that you like. You can adjust the shades using the sliders. I chose a light pink color to match the pink highlights in the picture. 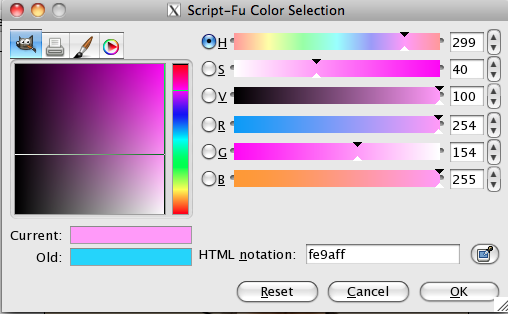 When you’re happy with your color, click OK. This is what your canvas will look like afterwards. 7.) 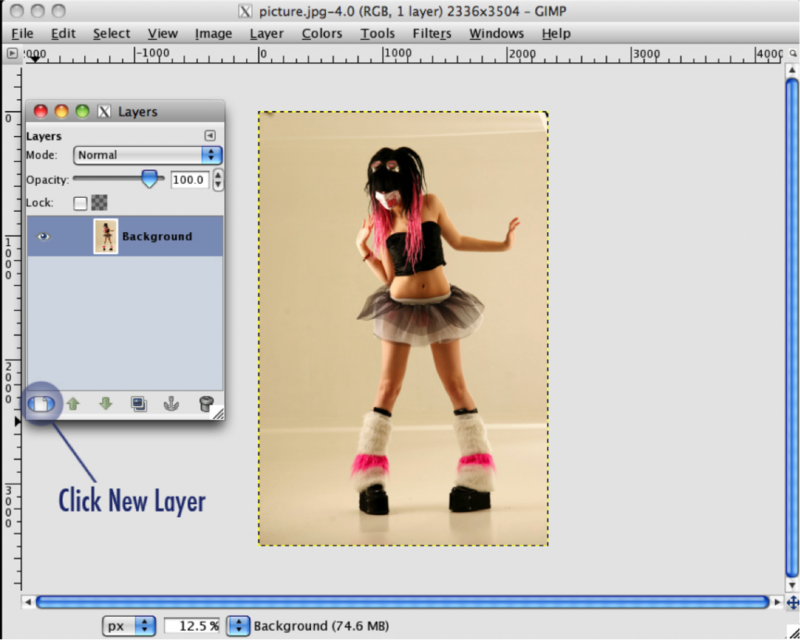 Click Background#1 in the Layers Dialog Box. 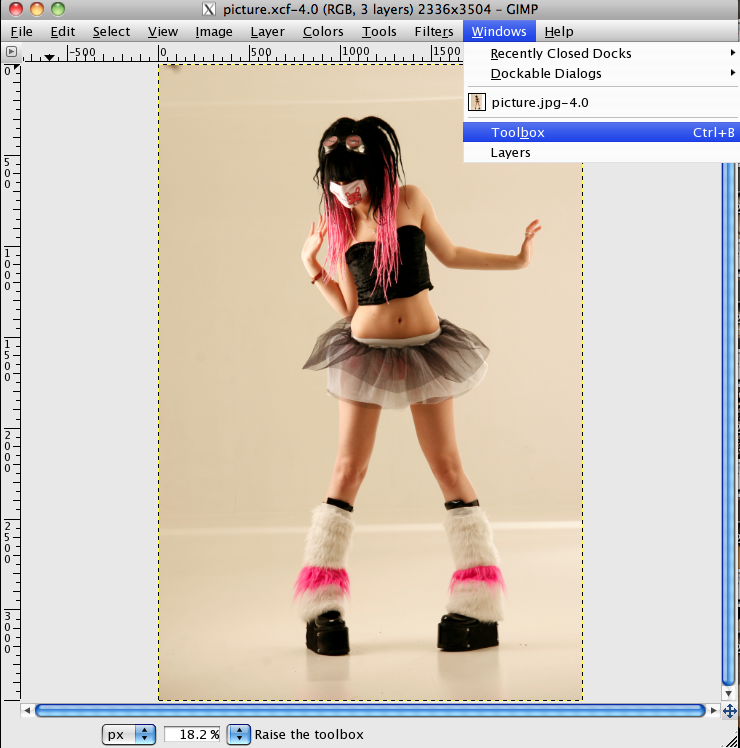 Delete the layer by clicking the trash icon on the lower right corner. 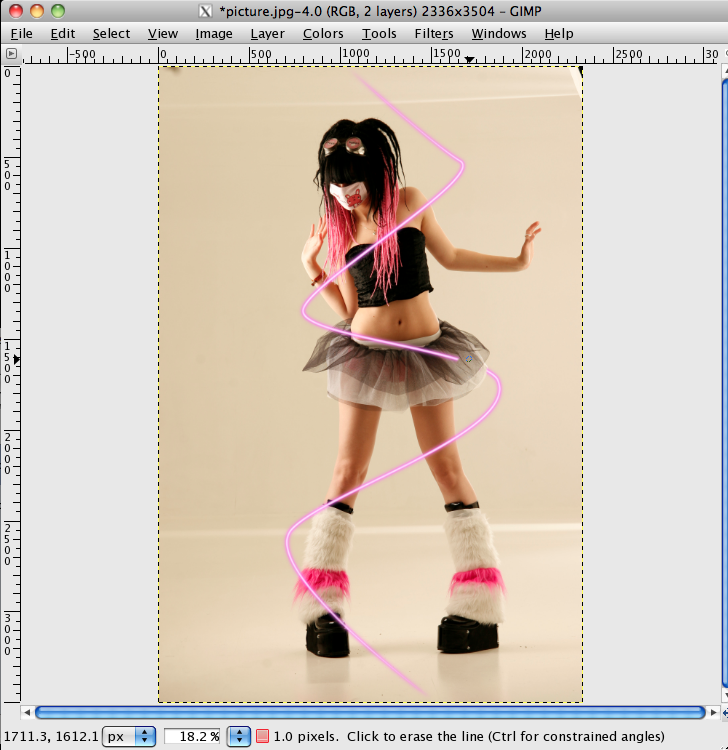 Right-Click on the topmost layer (In this case, ‘Neon Tubes’) then click Merge Down. 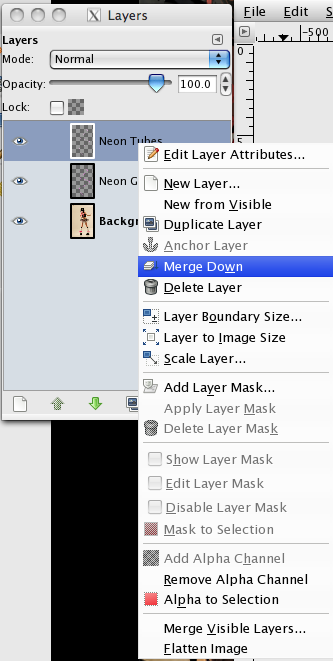 The two layers will merge into a single layer. 8.) Click on the Eraser icon. 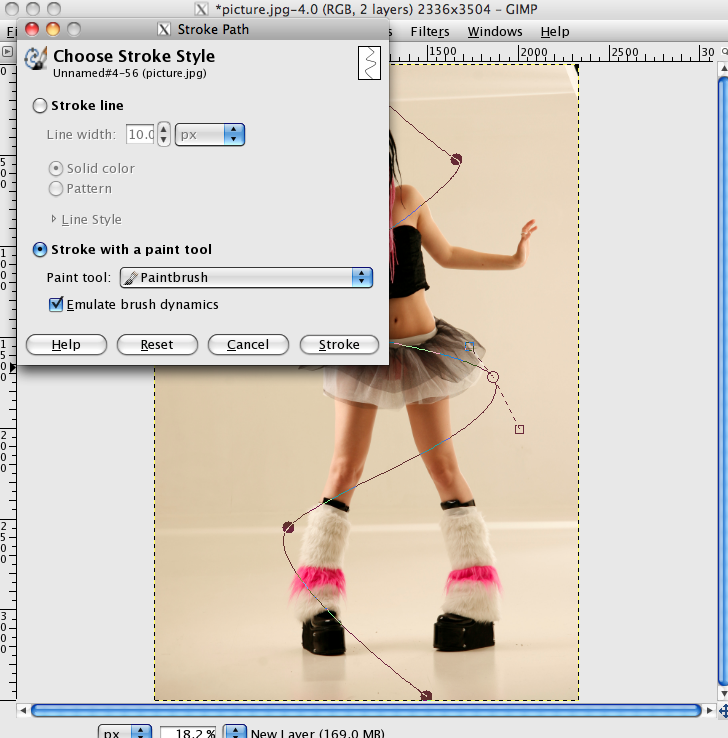 If you want, you can also adjust the brush size and brush texture. 9.) 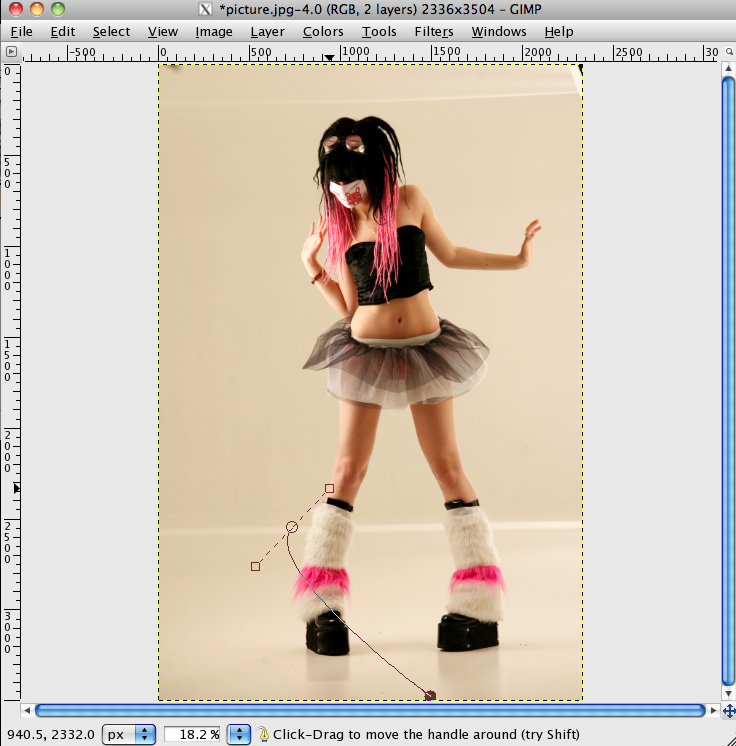 To create depth, erase the areas which you don’t want to overlap with the picture. There you have it, a glowing magic beam. Watch out for more tutorials on this site!